In the context of the current crisis, however, the blanket term of “migrant smugglers” masks a very wide spectrum of actors: from concerned citizens trying to assist those seeking refuge by offering a ride across a border, to the genuine transnational organized crime syndicates providing upscale services – including the procurement of tickets and false documentation – and a corridor of corrupt officials who will wink the illicit traveller through every port and border. This ambiguity generates space for law enforcement officials to appear to make progress, though the impact on the smuggling market is negligible. For example, the emphasis on the number of ‘facilitators’ apprehended by Frontex refers not in fact to smugglers, but to anyone identified as having an operation role, which includes, for example, the boat migrant who made the call to the coastguard for rescue. Similarly, there have been cases where individuals have been prosecuted for ‘migrant smuggling’ as they loaned their passport to a family member to assist them fleeing active conflict. How then should the crime of migrant smuggling be understood? According to the United Nations Transnational Organized Crime Convention (UNTOC), with its dedicated protocol on the Smuggling of Migrants that has 112 signatories and 142 parties, the crime is defined as “the procurement, in order to obtain, directly or indirectly, a financial or other material benefit of the illegal entry of a person into a State Party of which the person is not a national or a permanent resident.” But this dry definition does not describe the function that a smuggler performs for the migrant, nor does it help us to understand when it is necessary to respond to the act. A smuggler is required when a barrier – either physical, geographic, political or cultural – prevents a migrant from making the journey without assistance. For example, for a migrant from the Horn of Africa to travel to North Africa, a smuggler is mandatory: not only are the roads and borders full of hazards, from militia groups to national armies with a shoot-to-kill policy, but the Sahara itself is an unnavigable death-trap for those without specialised knowledge and significant pre-planning. A migrant may alternatively need a smuggler to help them navigate through territories where the climate is hostile, where they cannot speak the language, or physically stand out and at risk of detection and detention. The more challenging the barrier is to overcome, the more sophisticated and professional a smuggler the migrant will require. Where the journey is less challenging, you see a greater number of migrants prepared to make the journey on their own reconnaissance. To understand the nature of the smuggling industry within the framework of the European crisis, given the range of people travelling, the wide catchment area from which they come and the diversity of routes that they have been taking, it would be wise to stream analysis by the nationality of the migrant. More so than other criminal industries, illicit migration is a transaction based on trust: the commodity is the life and future of the migrant or their loved ones. And, as mentioned above, the service being provided by the smuggler is often to serve as a guide and protector along a dangerous journey. Furthermore, migrants chosen final destination is most typically where a large Diaspora population of their own nationality is already present. For all of these reasons, therefore, migrants transact predominantly with intermediaries in the smuggling network that are of their own ethnicities, and take confidence and comfort from being able to speak the same language and know the same people. Smugglers get their primary business from referrals from migrants who have completed the journey successfully, and use this to build the trust of new clients. Collateral services, such as the third-party broker chosen to hold their money, will also be a person of the same ethnicity. It is often restaurant owners, or those with a business that easily marks them as being part of the same identity group. Dependent on the funds available, migrants can request different levels of services from the smuggler, ranging from help to cross a single border, to bespoke journeys traversing tens of thousands of miles. Every manner of transportation has been used: planes, cars, boats, but also bicycles, jet skis, and luxury yachts. The more complex the journey, and the longer the route being negotiated, the higher the price the migrant will pay, and the more professional (criminal) the smuggling group will need to be. There are typically three indicators by which the professionalization and consolidation of a criminal industry (in any commodity) can be understood: price, level of violence, and ease of market entry. Monitoring these three metrics over time also provides indicators into the changes in the market. 1 The markets around the smuggling of migrants are particularly effective at demonstrating this. Market entry conditions can be changed, with significant impact on the market. For example, where smuggling from the Libyan coast to Italy by boat was initially a relatively specialised industry, it is now a free-for-all similar to that seen in Turkey. The change in this case was the introduction of sea patrols by first the Italians, and then the EU. It reduced the requirement on smugglers to have a sea-worthy enough craft and capable enough crew to navigate the full 160nm crossing to Italy, down to having to just ensure a boatload of migrants could make it 12nm to international waters. The costs of boats and fuel fell dramatically, as did the risk, as it is no longer necessary for the smugglers themselves to go to sea, and as a consequence the market has proliferated and fragmented. Criminal groups themselves can also change the conditions regarding market entry when they have access to a commodity or consumers to which they want to retain privileged access, and they will often use violence to protect their market. Violence: the ability to control and use violence is a defining feature of a criminal group. The higher the value of the commodity the more violence is required to ensure protection. Increasing levels of violence can indicate challenges in the market, the level of arms being exhibited and used is a similar indicator. Along the route between the Sahara’s main smuggling hub, Agadez in Niger, to Sebha in Southern Libya, two groups are coming in increasing competition: the Taureg and the Tebu. Both nomadic tribes who have long been traders along the trans-Saharan routes, their largely peaceful coexistence has been shattered by the newly lucrative migrant industry. Price: as with any market, price is reflective of a number of dynamics in the smuggling industry. Where smugglers are trying to build a market, they offer price incentives. 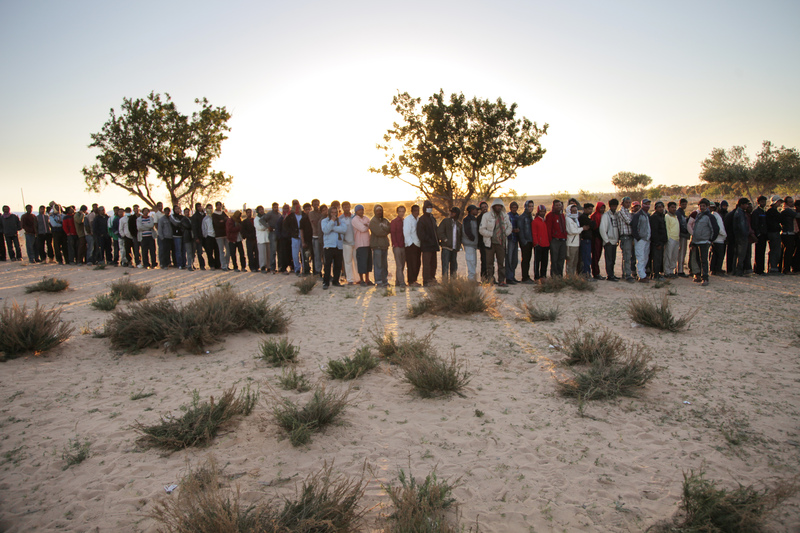 On the North African coast, where the business model requires smuggling brokers to transact in groups of 20-50 migrants at a time, bulk discounts are offered: “if you bring 3 migrants, you travel for free.” 3 Through extensive interviews with migrants, the Global Initiative against Transnational Organized Crime has been tracking the prices paid along various legs of the journey towards Europe. The price changes have proven to be highly responsive to changes in the market and European policy. When a border closure is announced, prices rise quickly – when German Chancellor Merkel announced in August 2015 that all Syrians could register in Europe, prices along the previously prohibitive and dangerous Balkan Route crashed, and Do-It-Yourself migration surged. If you analyse market entry, price and violence together, then you see that there is no unified smuggling market working to facilitate transit to Europe. Instead, what you see is a spectrum from disorganised to organised crime, that is responding to a set of market conditions which are also changing. As worldwide displacement hits record levels, yet border controls and barriers to labour movement steadily rise, dealing with criminal markets orientated around human smuggling are going to be an increasingly dominant feature of the global transnational organised crime landscape. Developing a nuanced and proactive capacity to measure price, violence and market entry over time, not only in Europe but globally, would greatly facilitate a proper analysis and a more effective capacity to define policy and responses. As this article has attempted to show, this is a market that is determined by the extent of the barriers that are imposed, and more often than not, this is something entirely under the control of the international community. Shaw, Mark (2016, forthcoming), ‘“WE PAY, YOU PAY”: Protection economies, financial flows and violence’, in Beyond Convergence. Washington DC: National Defense University. T. Reitano, “Smuggling of Migrants from West Africa to Europe”, in OECD (2016, forthcoming), Bad Trades and Global Trails: Criminal Economies and Illicit Financial Flows, Paris: OECD Publishing. Mark Shaw is the Professor of Justice and Security, Faculty of Law at the University of Cape Town, and the Director of the Global Initiative against Transnational Organized Crime (www.globalinitiative.net), a network of prominent law enforcement, policy, governance and development professionals committed to seeking better responses to transnational organized crime. 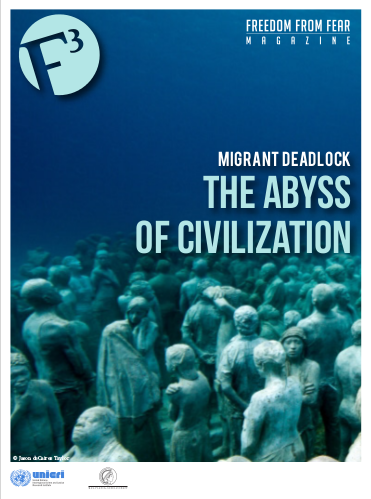 With the Institute for Security Studies, the Global Initiative has recently published a report on migrant smuggling and Europe’s crisis: “Survive and Advance: the economics of smuggling refugees and migrants into Europe”, drawn from extensive fieldwork in ten countries, and nearly four hundred interviews with experts, national authorities, migrants and smugglers themselves.